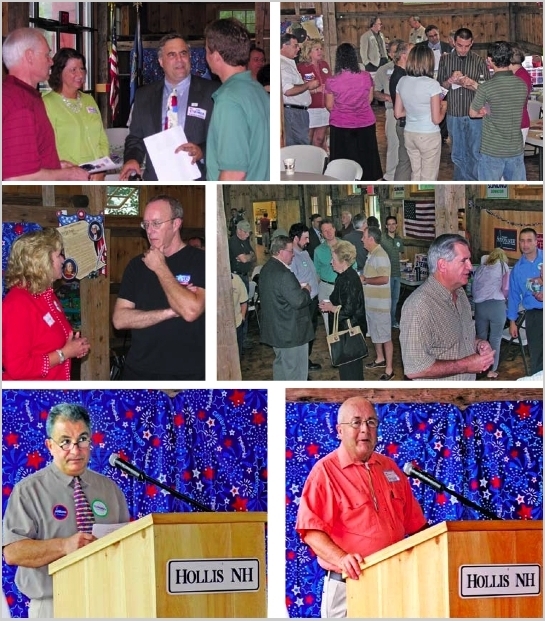 The following picutures were taken at the Life Free or Die Rally in Jaffrey, NH in August of 2009. 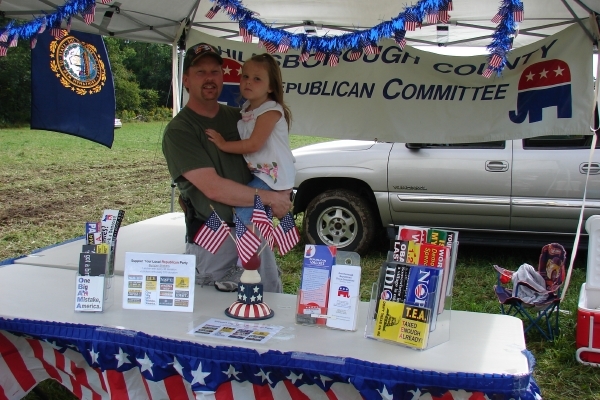 Steve Lee, chair of the Peterborough Republican Town Committee, set up a table to promote Republican ideals. 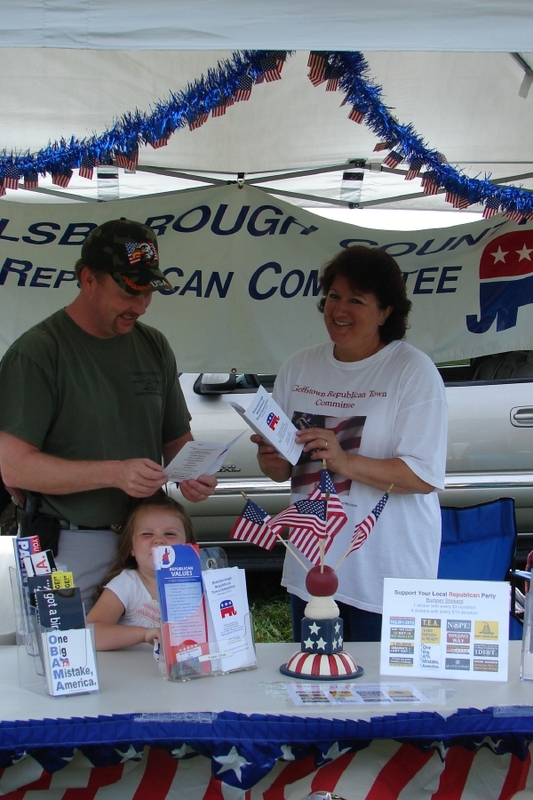 Folks wanting to get involved in party politics had the opportunity to place their contact info on sign-up sheets. 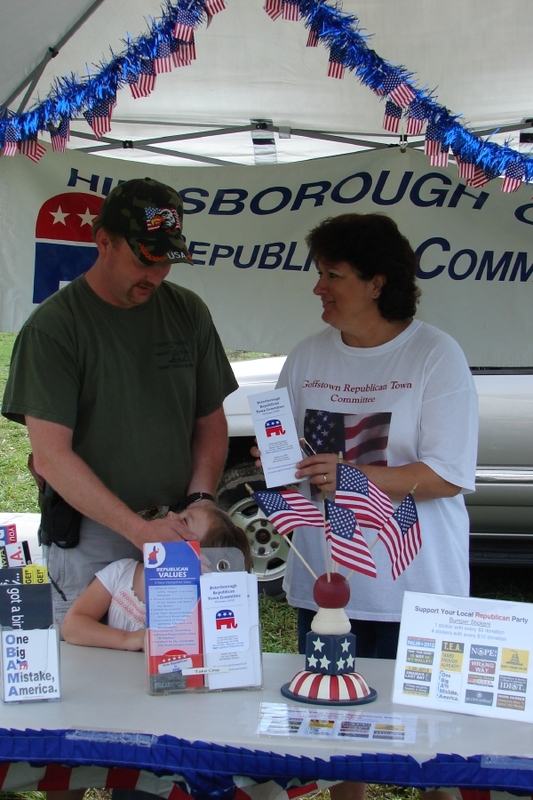 Attendees came from all over the state including those he met that were from Hillsborough County. 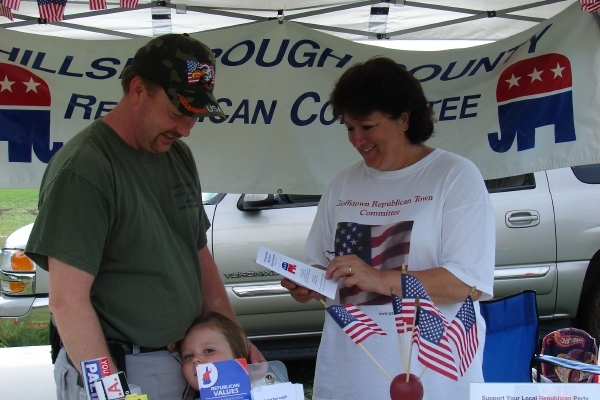 As you can see by the pictures, Steve sold bumper stickers to benefit the PRTC. The little girl in the pictures is Peter's 3 and half year old daughter, Abigail. 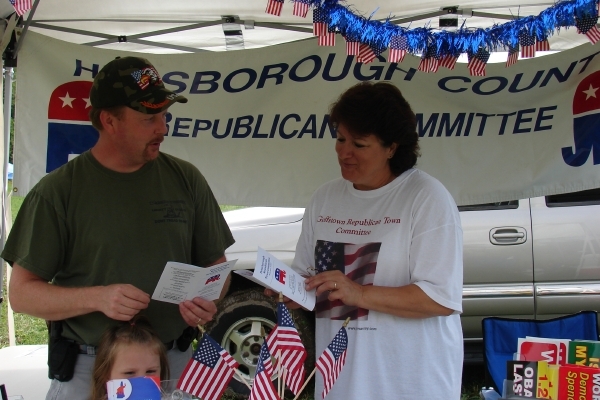 For more information on the event and the Peterborough Republican Town Committee, contact PRTC chair, Steve Lee.